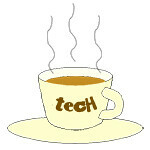 Hyper-V « Tech bytes for tea? Veeam has reported 67% (Q3 2012) year-on-year growth in APAC and has 50,000 customers around the world. Veeam Software develops solutions for VMware backup, Hyper-V backup, and virtualisation management. Veeam Software is a provider of backup, replication and virtualisation management solutions for VMware vSphere and Windows Server Hyper-V.
“What makes Veeam so successful is that it’s been built from the ground up specifically for virtualised environments, and hence is designed with the ability to innovate at an extremely fast rate while meeting the most stringent data recovery and protection objectives,” said Don Williams, Regional Director APAC, Veeam Software. The company has capitalised on market opportunities for virtualisation, disaster recovery and cloud technologies in the Asia Pacific (APAC) region. This is consistent with the findings of the VMware Cloud Index 2012 which underscored the importance and growth of cloud computing in the region. Strong demand in APAC has resulted in a year-on-year revenue growth of 48% in Q3 2012 from new licenses. Veeam’s cloud services business has seen a particularly strong uptake this year, having grown 58% in the last quarter alone. Veeam’s customer base has increased by 28% in the region this year. Veeam’s presence in Pan Singapore has seen a 110% YoY increase in revenue growth and 86% YoY growth in new licenses revenue in the third quarter. Simple and speedy data restoration in times of recovery. Veeam has recently opened new offices in Singapore and plans to expand further across the region in 2013, having already doubled the headcount in the Singapore team. Raymond Goh, Senior Systems Engineer at Veeam in Singapore. I had a chat with Raymond Goh, Senior Systems Engineer at Veeam in Singapore, during VMware’s vForum in Singapore. Raymond gave me a rundown of Veeam’s solutions for data protection and comprehensive systems management for virtualisation. Two aspects of Veeam’s offerings impressed me during our conversation. The scalability and flexibility of its solutions means that it can cater to both large enterprises and organisations, as well as smaller SMBs. The ability of Veeam’s solutions to work simultaneously with both VMware and Hyper-V solutions translate to cost savings for customers who operate both in a mixed virtual environment, since Veeam does not charge separately for catering to two environments. Veeam Backup & Replication is Veeam’s solution for VMBackup, while Veeam ONE is a single solution for real-time monitoring, resource optimisation and management reporting for VMware and Hyper-V.
Veeam also provides free virtualisation tools. The Veeam Management Pack (MP) and Smart Plug-in (SPI) extend enterprise monitoring to VMware through Microsoft System Center and HP Operations Manager.